While I love to cook and generally have a pretty adventurous palette, I get stuck. I find myself gravitating toward the same ingredients night-after-night. Pasta, tacos, roasted chicken, pulled pork, repeat. Snore. Time to switch things up, especially since we have some guests staying with us. 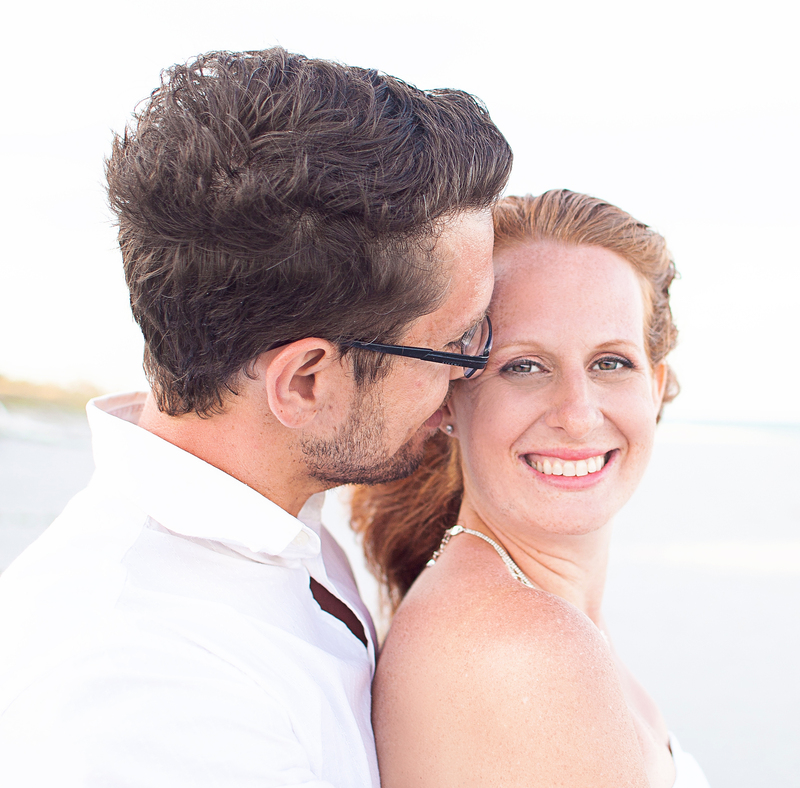 My sister Jamie got a new job in our area, so she will be living with us temporarily until she finds a place to rent. She also brought the fur babies along, so we treated them, too. You’ll learn more about that below. 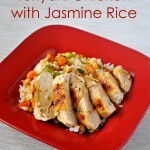 Anyway, back to my latest recipe… I got a little creative in the kitchen this week. I used to make grilled pizza all the time years ago, but somehow forgot about how this was one of my favorite go-to recipes. 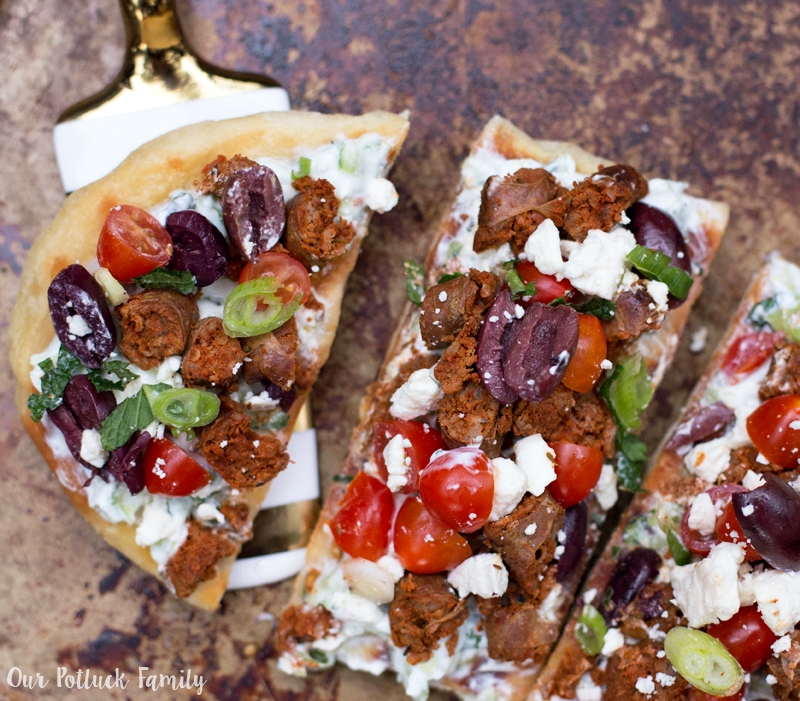 But plain old pizza is still part of that “boring” thing I was talking about above, so I took it a step further with this Greek Lamb Grilled Flatbread. 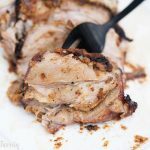 This probably sounds pretty complex, but honestly, it can be prepared in about 30 minutes, and contains really interesting flavors that I think your family will really enjoy! I purchased one pound of lamb sausage at a specialty grocer. 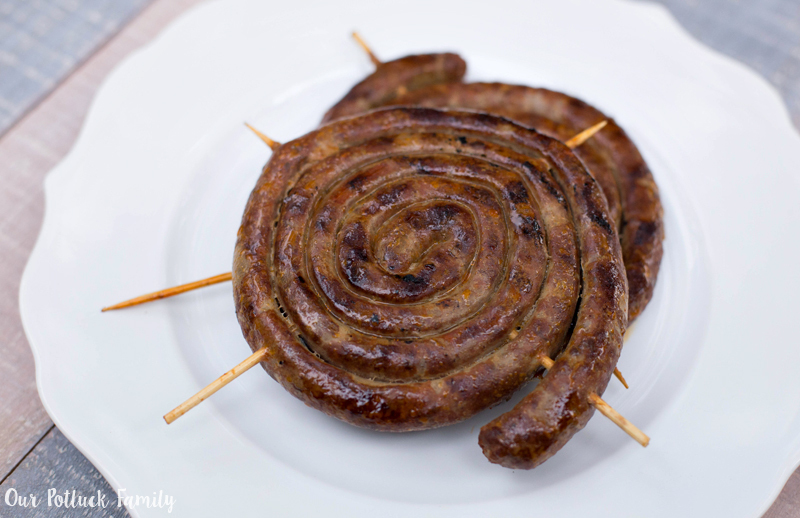 If you cannot find lamb sausage, you can try using ground lamb and season with Italian seasoning. Using a grill pan over a larger burner on my stove, I grilled the sausage on both sides until it was cooked through and set it aside. 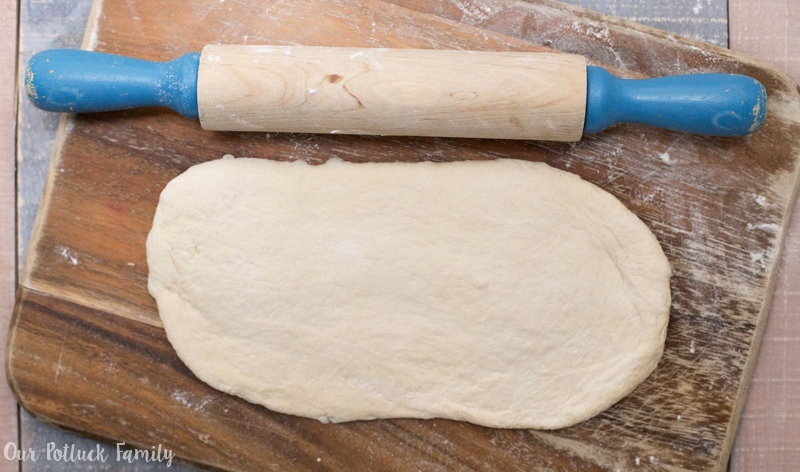 While the sausage is grilling, roll out pizza dough. I was able to get one large flatbread and one small flatbread from the dough I bought at my grocery store. I rolled it out as thin as I could (less than 1/2″ thick). I greased my grill pan with a little olive oil and grilled the flatbread alongside the sausage. To get the hashmarks, just grill the bread on one direction, rotate 90 degrees, flip over, and repeat. 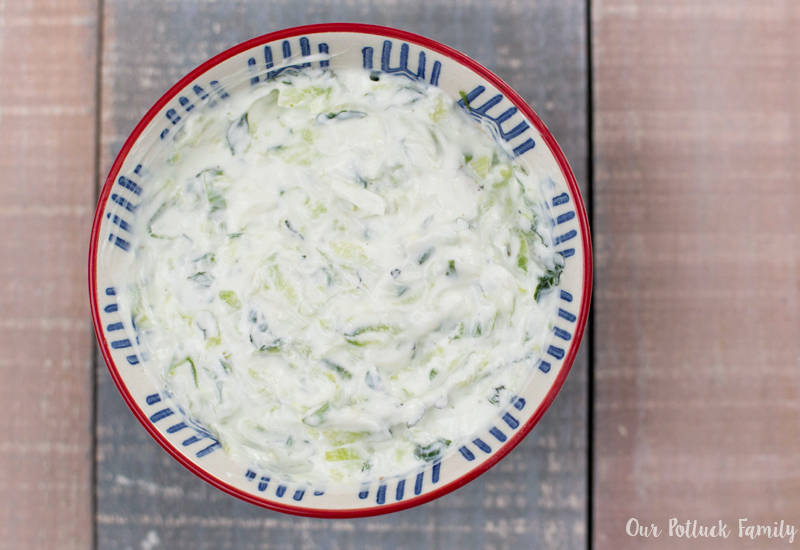 While the dough and sausage are grilling, prepare the tzatziki, which will act as your sauce in the recipe. Place your cup of plain yogurt in a fine-mesh strainer over a bowl to remove some of the liquid. Grate one cup of seedless cucumber into another bowl and squeeze it to remove the excess liquid. Mix the cucumber and strained yogurt, add 1 clove of crushed garlic, juice of half a lemon, 1 tablespoon of chopped fresh mint, and 2 thinly-sliced green onions. Add the salt and pepper, and your tzatziki is ready! 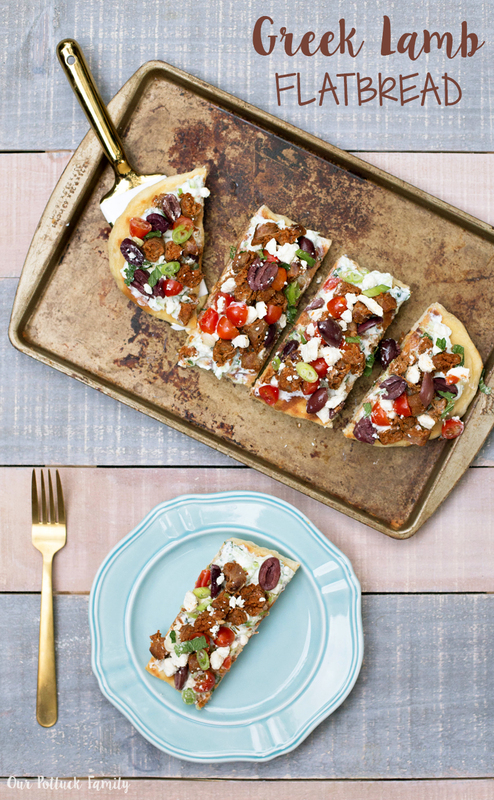 Now it’s time to assemble your Greek Lamb Grilled Shortbread. 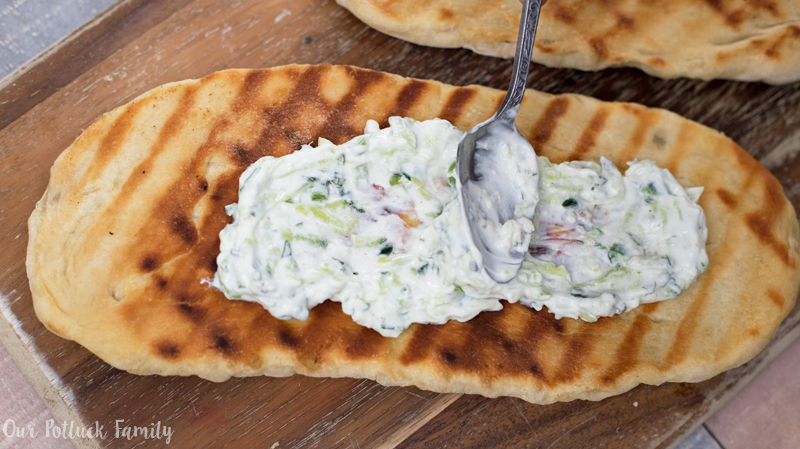 Spread the tzatziki on the grilled bread. 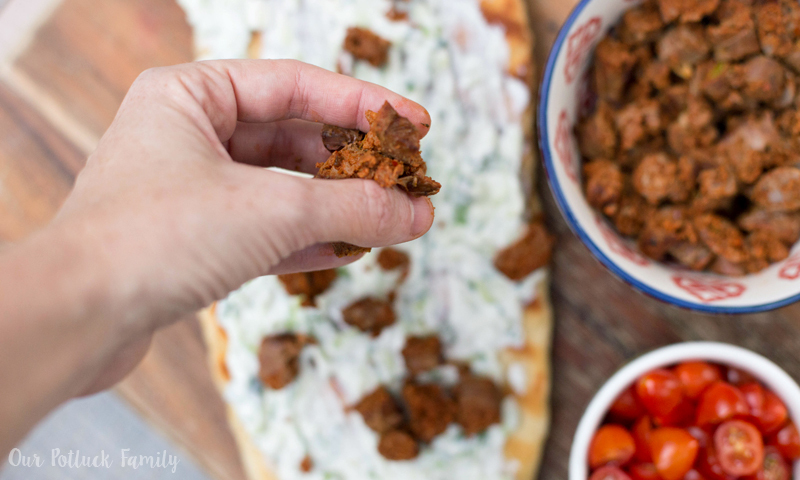 Chop the lamb sausage, and add it over the tzatziki. Next, add your other favorite toppings. 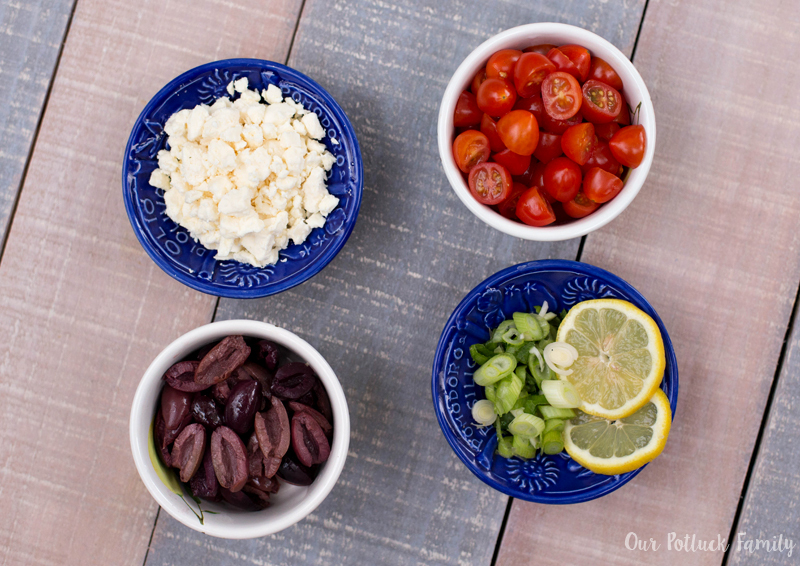 I selected feta cheese, pitted and halved kalamata olives, halved grape tomatoes, thinly-sliced green onions, fresh mint, and even a twist of lemon to brighten it up. 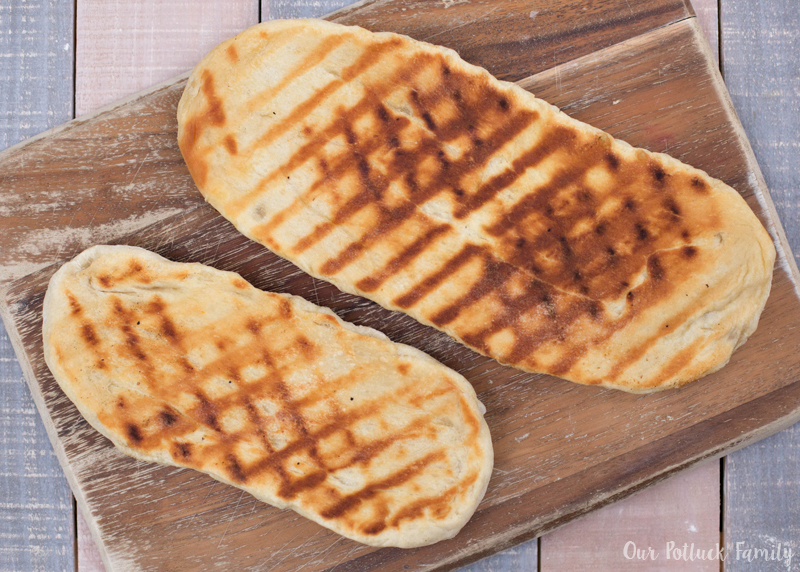 Slice your grilled flatbread and it’s ready to serve. 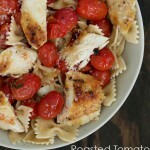 This makes a great entree paired with a simple green salad. For the kids, I kept things a little simpler. I added the lamb sausage, kalamata olives, and mozzarella cheese, and I broiled the flatbread in the oven until the cheese melted. 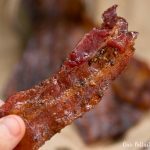 Now, you may be interested in learning how I got the idea for this new recipe. 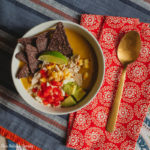 If I told you I was inspired by my dogs’ new food, would you believe me? Well, it’s true. 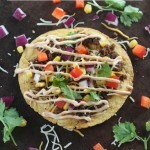 The new Rachael Ray™ Nutrish® PEAK Open Range Recipe™ with Beef, Venison & Lamb provided the inspiration for this dish. 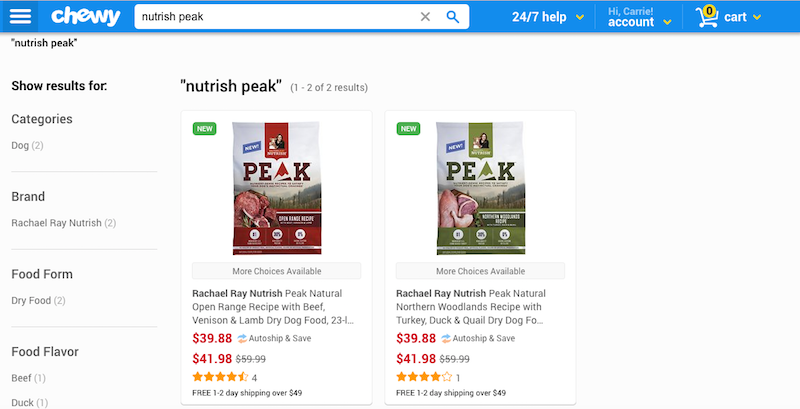 I purchased a bag of that variety and a bag of Rachael Ray™ Nutrish® PEAK Northern Woodlands Recipe™ with Turkey, Duck & Quail at chewy.com. You should also be able to find it at big-box stores or your local grocery store. A portion of the proceeds benefit animals in need through Rachael’s Rescue®. 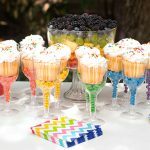 Save $4.00 on PEAK Valid throughout this year – This coupon can be printed twice. 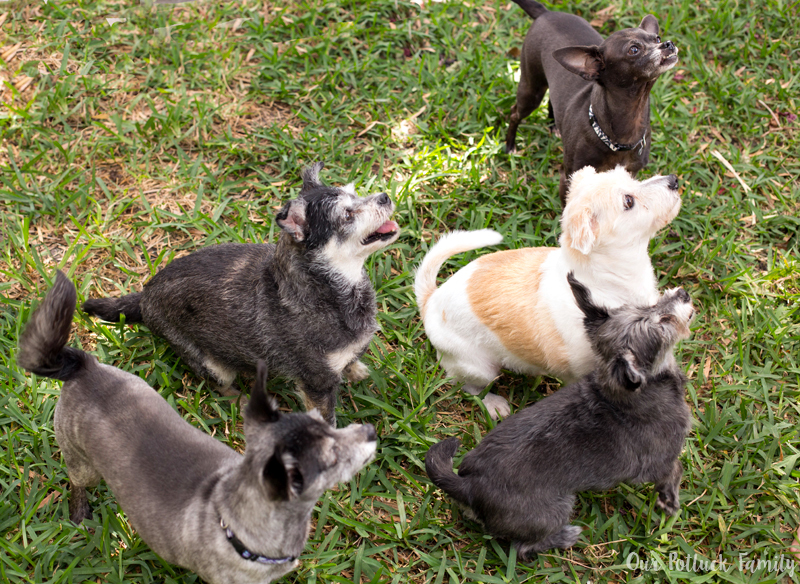 So now, we don’t have just three dogs in our home – We have FIVE! My sister’s dogs Pico and Chubby have joined the crew. I tried my best to get a photo of all five of them together, and this was about the best I could do. Can you tell they all get along? I figured our house guests needed their own dishes to enjoy these two new varieties of dog food by Rachael Ray. This protein-rich, grain-free recipe is designed to satisfy your dogs’ cravings. Both recipes contain 30% high-quality protein: real U.S. farm-raised beef is the #1 ingredient in the Open Range Recipe, and real U.S. farm-raised turkey is the #1 ingredient in the Northern Woodlands Recipe. 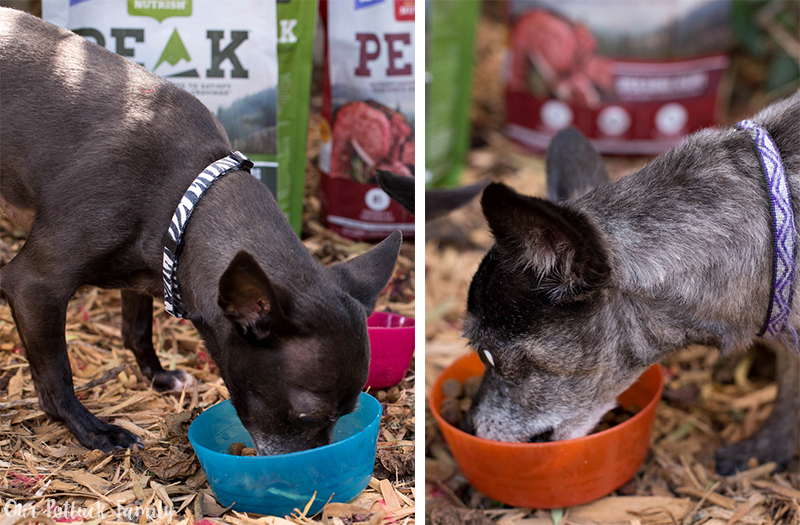 Remember, for your dogs’ health, gradually introduce a new food, like Nutrish® PEAK, by incorporating it into your current dog food over the course of 7-10 days until it’s completely switched over. 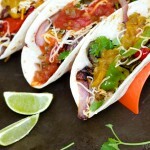 What dishes do you prepare for your family when you’re tired of the old standbys and decide to try something different? 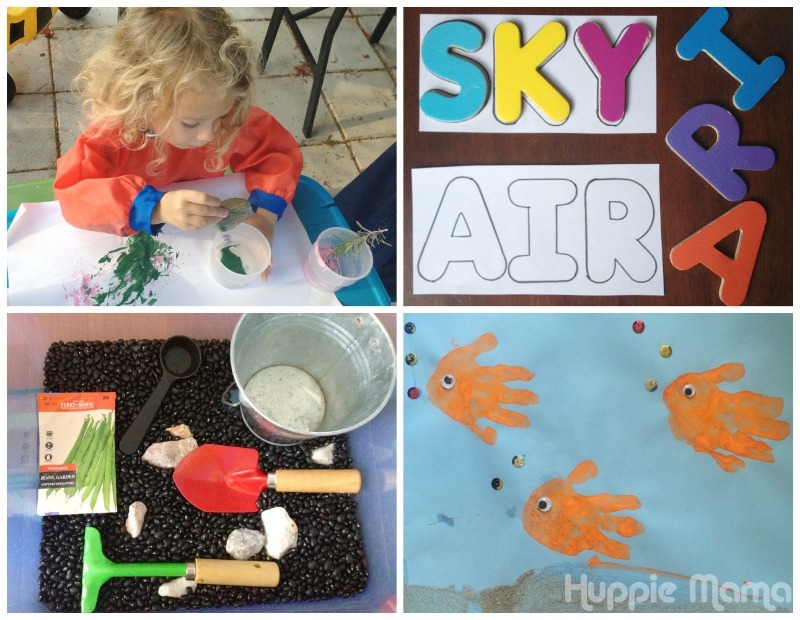 Great leap of creativity! You have me thinking – about 2 months – when the lawn is thawed out.